The M3V system was intended to address several shortcomings of the previous generations of Exploration Vehicles. The program goals are reduced total hardware life-cycle costs, ease of orbital assembly, adaptability to multiple celestial bodies, and integration into a depot-based architecture. 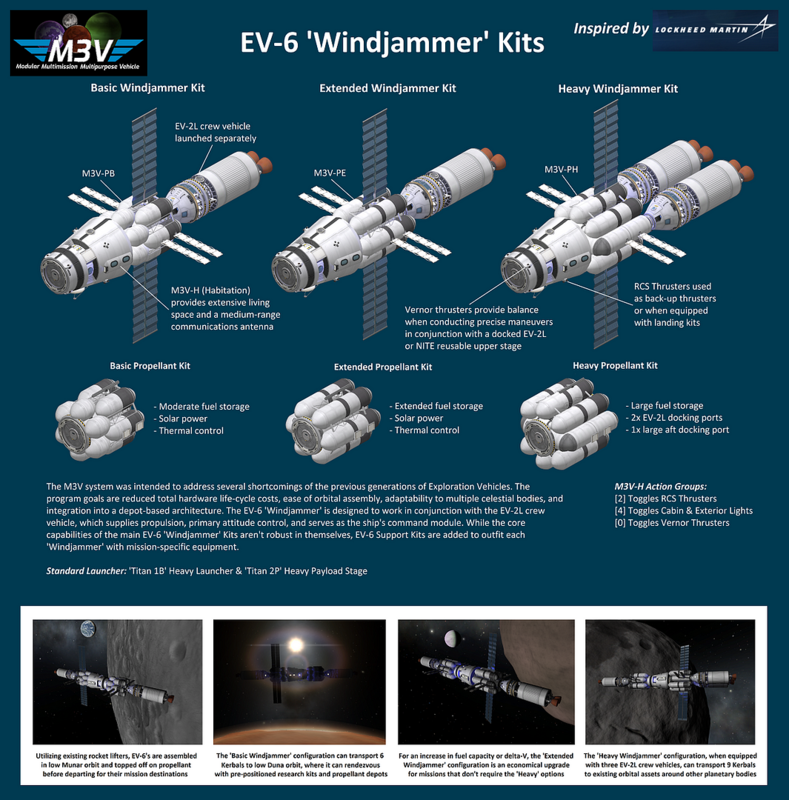 The EV-6 ‘Windjammer’ is designed to work in conjunction with the EV-2L crew vehicle, which supplies propulsion, primary attitude control, and serves as the ship’s command module. While the core capabilities of the main EV-6 ‘Windjammer’ Kits aren’t robust in themselves, EV-6 Support Kits are added to outfit each ‘Windjammer’ with mission-specific equipment.